There are numerous Foodie Fare finds in Disney's Hollywood Studios but we have found the most irresistible snack find to be at The Writers Stop. 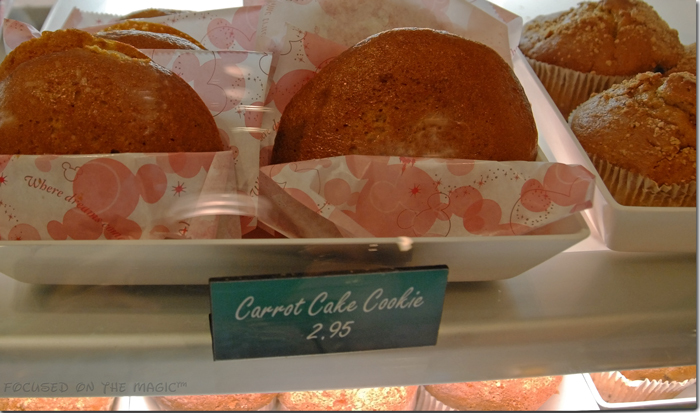 Tucked away and often missed (next to The Sci Fi Dine-In Theater) is the little book store with the art deco facade where you can find the famous Carrot Cake Cookies. 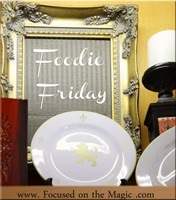 There you have it ~ my Foodie Fare find for the week. The famous Carrot Cake Cookie, a cup of coffee and good company. 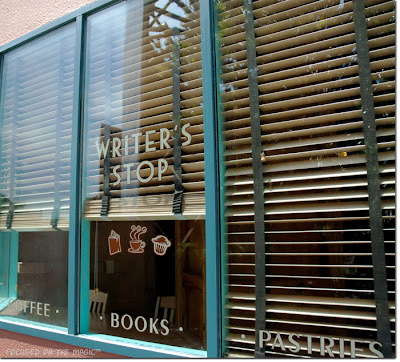 Have you tried the Writer's Stop? What's your favorite Disney cookie ? 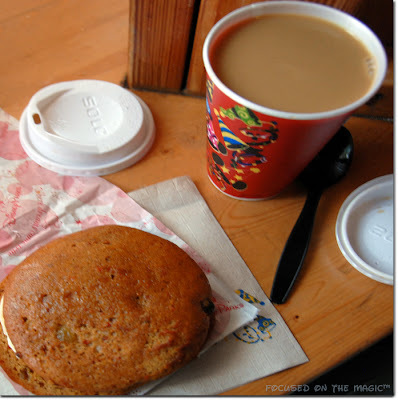 I think I got a cup of coffee there in 2009 - I couldn't have told you the name of the place, though. Those cookies look good! I will have to stop there and check it out. Thanks for the tip. Mary, I know! That's what happened to my secret garden! GrandmaBonnie, Just stopped by your blog. Love your scones!! I cannot believe out of all our trips there I have never seen nor even heard of this place. You better believe I'll look it up next time. Thanks for the heads-up. My boy had a nap there on our last trip and we sat on the couch, enjoying one of those cookies and myself drinking a delicious iced coffee - they brew their own on site! Amazing compared to all of the frozen coffee slush machines all over property.. As for the cookie.. not my fave. Not bad, but not worth all the fuss for me! Cathy, You're so welcome:) I hope you enjoy it. Amy, I love it I hope you will too. Jenn, ah a quiet nap and you got a break too! Awesome!!! I love their coffee. I wish more places brewed their own. Mmmm Iced Latte sounds good:) I could go for that right now!